Ever since Instagram launched its own version of Stories, there’s been a highly publicized Stories war between Instagram and Snapchat. The two channels have many similarities. Creating content for Stories is the new way to engage with audiences. Self-proclaimed cyber sociologist and TechCrunch author Josh Constine created a clever moniker for the new way to build social engagement. The Stories format aligns with today's preference for mobile friendly content. Content is available through a quick swipe of a social app, allowing people to browse and engage with brands promoting that content at their own discretion. Instagram Stories and Snapchat feed visual or video content to the end viewer. The Stories form part of a coherent narrative, encouraging people to follow along and learn more about the brands behind the content. The two platforms provide brands with opportunities to customize the Stories and capture the attention of their ideal followers. It falls to marketers to determine which channel is in their best interests and most likely to keep viewers coming back for more. The two platforms are engaged in a highly competitive battle for brand interest as they release new features that resemble attributes available through their rival channel. But as is the case with any war, there are fundamental differences between the two sides. As a marketer, you need to be aware of these differences so you can make logical decisions with content that make the biggest impact and maximize ROI. What are the fundamental differences between Instagram Stories and Snapchat? Let’s look into that. When Instagram Stories debuted in August 2016, traffic instantaneously flocked to the new feature. Instagram’s active monthly user base was already trending above 500 million people when Stories was released. The application’s integration with Facebook also allowed a network of 1 billion + users to seamlessly appreciate Stories content. It didn’t take long for social media’s most savvy influencers to also make the jump from Snapchat over to Instagram Stories. The creative team at MediaKix created an infographic describing this transition over the last 8 months. The study analyzed 12 influencers and their habits of sharing content on both Instagram and Snapchat Stories over the course of 30 days. During that time, analysts concluded that 8 out of the 12 influencers posted more often on Instagram Stories than on Snapchat. There were also more Stories posted on Instagram during 25 out of the 30 days of the study. According to the data, this means that influencers shared content on Instagram 25% more often each day than they did on Snapchat. As a brand marketer, use the data to make logical assumptions about your Instagram Stories promotions. If influential Instagrammers are sharing more content to larger audiences, you have a much stronger opportunity to reach more prospective customers by creating content that those influencers will actively choose to share. One of the sources used within the infographic is a comparison within Google Trends. The data examines interest in the search terms “Instagram Stories” and “Snapchat Stories” from July 2016 through April 2017. The graph below visualizes a much stronger interest in Instagram Stories over Snapchat (with the blue line representing Instagram and red standing in for Snapchat). Google’s data is also broken down into a comparison by region. The term Instagram Stories was searched from IP addresses across 5 continents. In contrast, interest in Snapchat was primarily limited to North America, and to a lesser extent Australia and the United Kingdom. Facebook recently announced there are now 200 million daily active users of Instagram Stories. This is a much larger audience than Snapchat, which to date has accumulated 161 million users. Due to the sheer volume of users on Instagram, coupled with the channel’s integration with Facebook - which recently launched its own version of Stories - it’s little surprise that influencers are more engaged on the network with a larger audience. If influencer marketing is part of your brand’s content strategy, Instagram Stories is your channel to capitalize on those intentions. Some of the Instagram influencers within the study have networks of followers in the tens of millions. A share from anyone on that list could expose your brand to a vast number of potential new prospects. Review the Instagram profiles of the influencers that best align with your brand’s core values so you can outline a plan to get their attention, and encourage them to engage with you. Keep that in mind as you create content for your own brand’s Stories. You’ll want your content to be authentic and professional, but have it encapsulate the fun and ephemeral spirit of Stories. 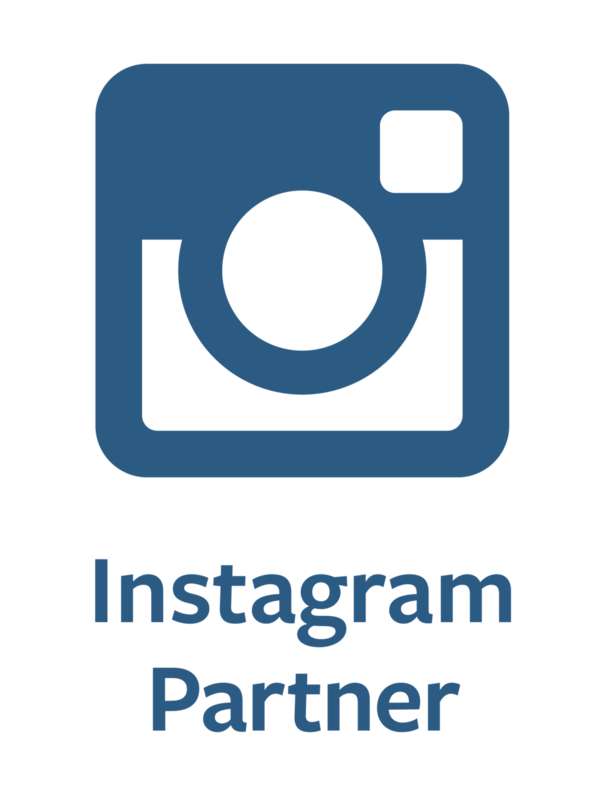 Remember to refer to Instagram’s own guide for businesses, which includes tips and best practices for creating ads you can insert into your Stories. You'll also want to research what content your target audience interacts with on Instagram and Instagram Stories. Identify any commonalities in terms of visual style, colors, product features, featured persons, and other content characteristics. If you detect any patterns, factor them in as you create new content to share on Instagram Stories. Snapchat was briefly overshadowed by Facebook in March when the larger social app launched its own version of Stories. But Snapchat challenged Facebook’s release by rolling out its new search feature, which places more power in the hands of users to scroll through Stories content. Any user of Snapchat can tell you that there’s a lot of content populating news feeds. Sometimes there are so many Stories about a particular theme or topic that it’s next to impossible to scroll through them all. People are eager to see a certain brand’s perspective on a theme or topic but can’t find the Story within their feeds. Snapchat's latest release attempts to solve that dilemma. The search feature has yet to be replicated by Instagram, Facebook, or any of the other Stories channels, giving Snapchat a competitive edge by aligning itself more closely towards a search engine or YouTube. When you open Snapchat, you’ll notice a new search bar that appears at the top of the screen. Rather than geographic-based content curated under “Live Stories,” the “Our Story” feature is a global Story on a given topic where any user or brand can contribute with fresh content. In a statement published on Reuters at the time of the release, Snapchat stated that granting users the ability to search through “Our Story” will improve the overall experience. Snapchat anticipates that the search feature will bring more users back to its platform. The ability to filter through millions of Stories is a powerful asset that is unavailable on Instagram or Facebook. Users already spend on average between 25 and 30 minutes per daily visit to Snapchat, currently higher than average engagement on Instagram. The ability to filter out unrelated Stories and interact with the most relevant content is a feature Snapchat anticipates increasing time spent in the app. Think about how people consume content on YouTube. One search brings up a series of related videos, which often leads people to click on more content and remain on the channel for longer periods of time. If Snapchat’s new search feature keeps people interacting with Stories that appear in news feeds, how long do you think those users could hang around? Given that Snapchat already boasts higher user engagement per session than any other Stories channel, this is a great incentive for your brand to adopt a more targeted approach to Snapchat. Analyze what your followers (or better yet your followers’ followers) are searching for within Snapchat to gain a better understanding of what topics interest your target audience. Using this data, you can customize your own content and create assets that will appear in related search queries and ultimately resonate with your prospective customers. Are you eager to gain a competitive analysis of Stories on multiple channels? Register for our “How to Think About Facebook, Instagram, and Snapchat Stories” webinar for insights into the unique features and benefits of all three channels along with best practices to create content with impact.